YU, a subsidiary brand of Micromax mobiles after a long gap launched its its YU series latest device under 6k budget segment and the name is YU ACE. In 5.45” Incell HD+ Full View display with 18:9 ratio with round edge plastic body and glossy back panel it looks very premium. 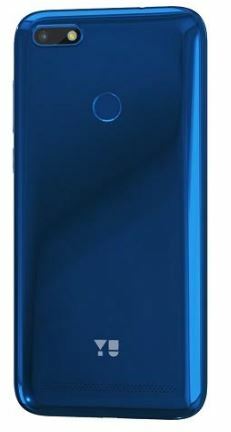 It is powered with MediaTek MTK6739WW 64bit 1.5Ghz Quadcore processor that is coupled with IMG 8XE 1PPC GPU of 570Mhz. It packs 2GB RAM and 16GB onboard storage with expandability feature. It comes with dedicated Sim slots and an additional MicroSD slot is also given in it. It is a 4G VoLTE featured dual Nano Sim 4G Smartphone. It comes with 128GB of expandability option through its SD Card slot. YU ACE runs over latest Android OS Oreo v.8.1 with not bloatwares given in it. It works with Reliance Jio 4G VoLTE Sim, equipped with a Dual VOLTE setting for doing VOLTE calls on both the SIM cards.. For other connectivity options it has FM, Bluetooth v.4.1, Wifi, Hotspot, GPS, GPRS, WAP2, Micro USB charging port, 3.5mm audio jack and OTG support. It includes Ambient Light Senser, Fingerprint Sensor, Gravity Sensor and Proximity Sensor. This handset equips a 5MP Selfie Camera with LED flash and a 13MP Primary auto-focus Camera on its back panel. Camera features included Face Unlock, Pinch Zoom, Mulltishot feature and Night Mode. A fingerprint Sensor is placed just below the Primary Camera. For power backup it packs a powerful 4000mAh Lithium Polymer Battery that help to run the device for a long time. With latest features at this price YU ACE provides its customers a great experience with the best of technology. 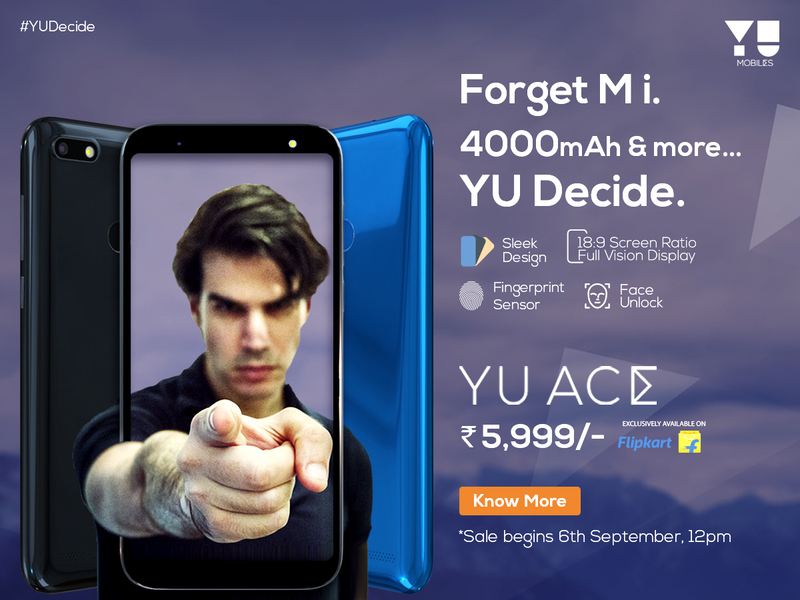 YU ACE is Flipkart exclusive device available in an open sale starting September 06 at price of Rs.5,999/-. Colors available – Elektric Blue, Charcoal Grey and Rose Gold. It comes with One year brand warranty on handset and six months warranty on accessories.